AMMONNEWS - The Jordanian embassy in Nairobi has been in contact with the Jordanian community, and all Jordanian nationals are unharmed as a terror attack hit a hotel in the Kenyan capital, Nairobi, the ministry said on Wednesday. 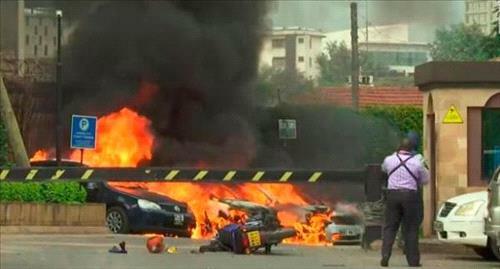 The official spokesperson of the ministry Ambassador, Sufian Qudah, said the ministry's operations center, in coordination with the Jordanian embassy in Nairobi, has followed up on the safety of Jordanians there since the terrorist attack, and no Jordanians were reported among the victims and the injured people. Qudah called on the Jordanian citizens in Nairobi to exercise caution in their movements.